Bitcoin is trading between the low and middle of the bollinger band for the whole bear market. Its being constantly rejected by the middle of bollinger band after each counter-trade rally. 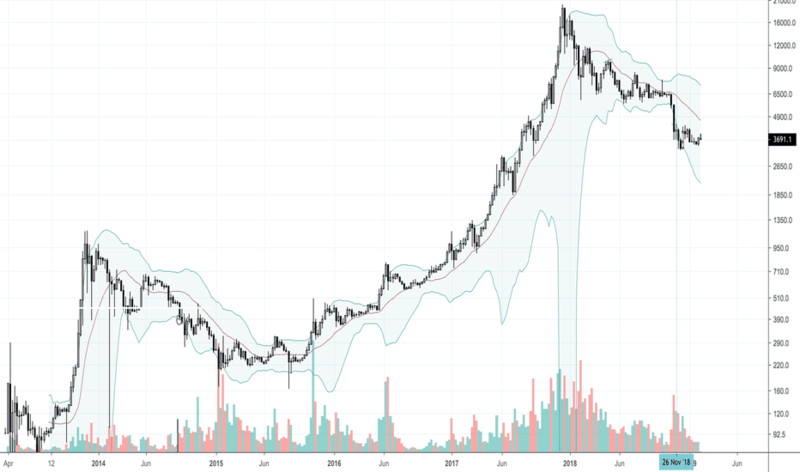 From the last bear market we can see once bitcoin break the middle of the bollinger band , and acting it as a support, then we can confirm the long term trend changes from bear to bull.